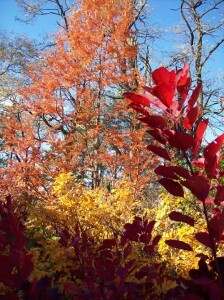 Fall color in Sally Cunningham's garden. Photo from Sally Cunningham. And that’s just wrong. We have to change the paradigm. We can do so much in the late summer garden. 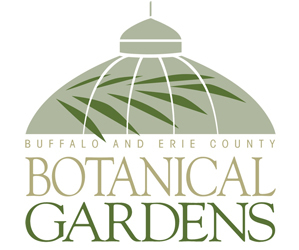 I’ll be discussing “The Autumn Yard and Garden: To Do and Not To Do” during the Fall Garden Fair on Saturday, Sept. 10 at Lockwood’s Greenhouses, 4484 Clark St., Hamburg. The fair will also include vendors offering art, jewelry, pottery, tools, gifts and garden supplies between 9 a.m. and 4 p.m. There will be a gourmet food court and a plant auction at 12:15 p.m.
Monkshood. Photo from Sally Cunningham. Take advantage of amazing, fall-flowering perennials. If you look in outstanding gardens or garden centers you’ll see perennials you don’t necessarily know very well (because you were shopping and planting mostly in spring I’ll bet.) 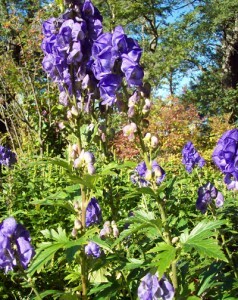 If your garden is missing monkshood, Japanese anemones, toad lilies, blackberry lilies, Aconitum, Vernonia, Helianthus (I could go on), then you are missing about a fifth of the flowering season. 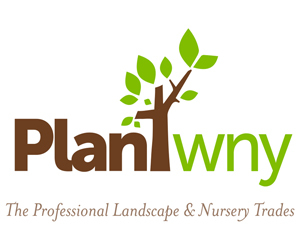 Plant woody ornamentals in the fall. You can plant perennials well through September with great success. You can plant woody plants (trees and shrubs) through October and later, if you do it properly. Calliparpa (Beauty Berry). Photo from Sally Cunningham. The reasons? Woody plants get a good start in autumn with many weeks of rain (and supplemental watering). When they go dormant it doesn’t matter a lot where they are, so they might as well be in your landscape ready to start growing roots outward until the ground is frozen. Then they get an early start in spring. Also, spring often means soggy, clayey soil, which isn’t right for planting until well into May sometimes. Calliparpa (Beauty Berry), seen at left, is one of the less known shrubs because in the spring they aren’t very showy in their containers in the nursery. Keep gardening until the ground is frozen. How you water and weed now will affect what you face next spring. The best gardeners are still out there. You may need to take steps now to protect some of your plants from deer and the ravages of winter. Some plants should be cut back now—and others shouldn’t. Some plants should be fertilized now—and others shouldn’t. You can find out more at the Fall Garden Fair at Lockwood’s. Cant the beauty berry be planted in the fall? if so, where can I find one locally? 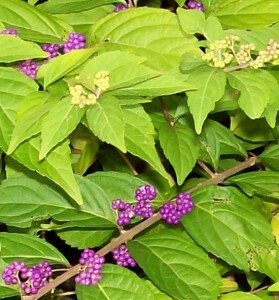 Beauty Berry can be planted in the fall! We have some here at Lockwood’s Greenhouses. Great plant– ours not as impressive now as it will look next summer. Just plant with some compost and mulch after the ground freezes! See you here and we’ll talk about it.